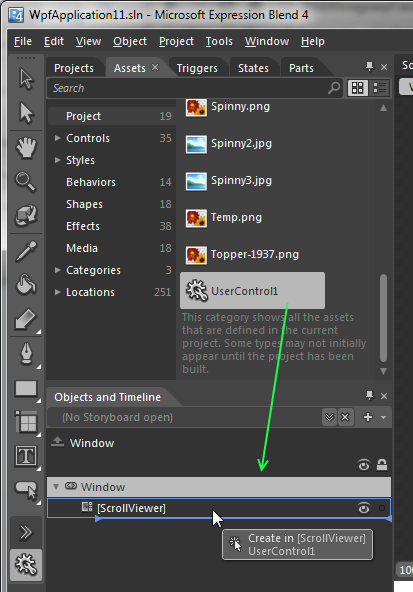 When you’re working in Blend and have some scrollable content in a ScrollViewer, you won’t be able to see all of the content at design time because Blend doesn’t let you scroll the ScrollViewer. This can be frustrating, since you want to see your content at design time. 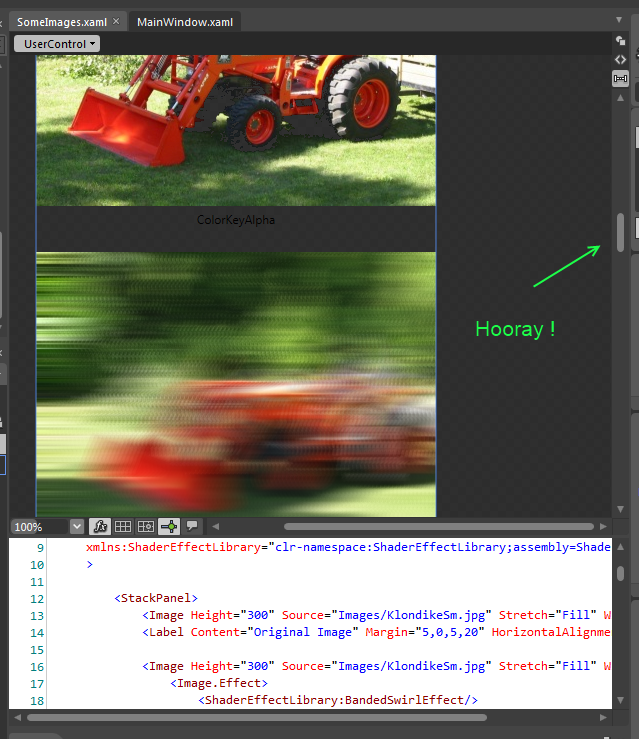 In the example above, I have a series of Image controls in a vertical StackPanel, but I can only see the first couple. 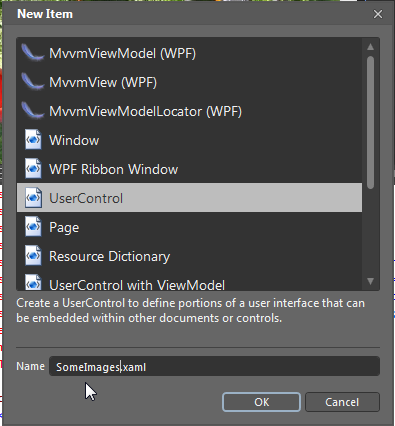 The trick to working around this limitation is to put your content into a UserControl and then put that UserControl into the ScrollViewer. You can then scroll the contents of the UserControl on the artboard. Move your content into the new UserControl. 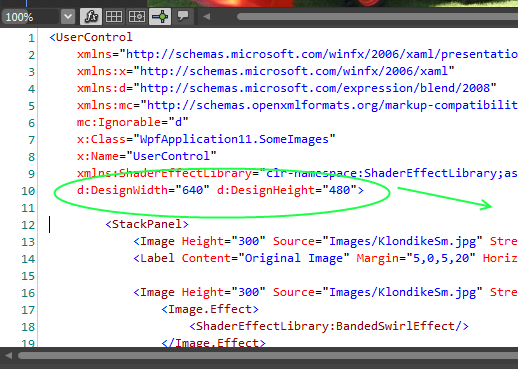 Remove design-time width and height. Go back to the window that contains your ScrollViewer. 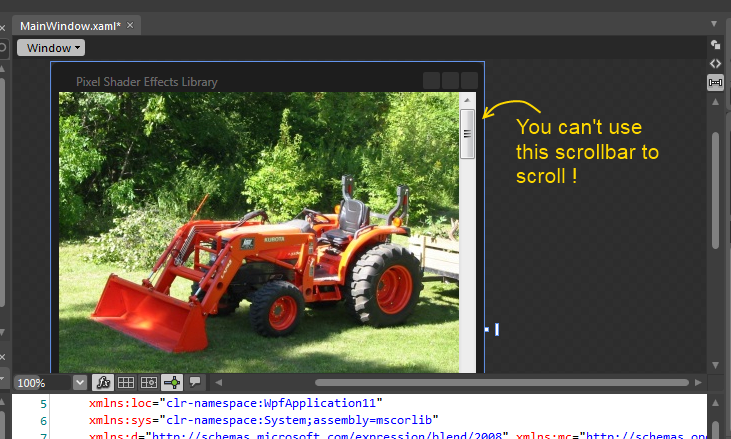 Find the UserControl in the Assets panel and drag it into the ScrollViewer. You can now scroll at design time. 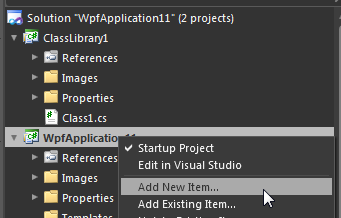 How do I do this in Visual Studio 2017?